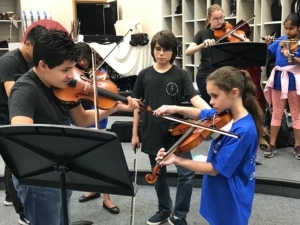 The Advanced Orchestra is open to 8th and 9th grade players of orchestral string instruments (violin, viola, cello, and bass) who have participated in the Intermediate Orchestra for one year or have equivalent experience in their instrument. 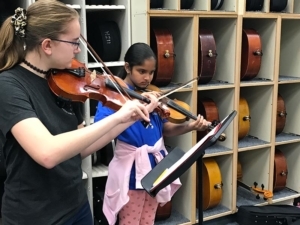 The Intermediate Orchestra is open to 7th grade players of orchestral string instruments (violin, viola, cello, and bass) who have participated in at least one year of the elementary program or have equivalent experience in their instrument. 8th and 9th Grade Advanced Orchestra. 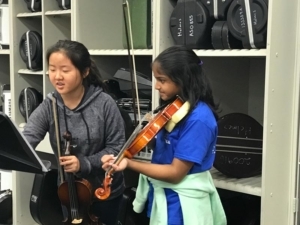 Holmes students from both orchestras meet daily for in class rehearsals and participate in an active performance schedule throughout the school year. 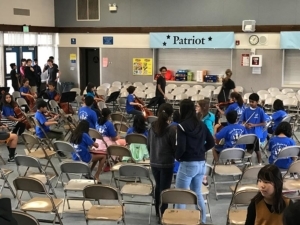 The Holmes Orchestras perform under the direction of Angelo Moreno.